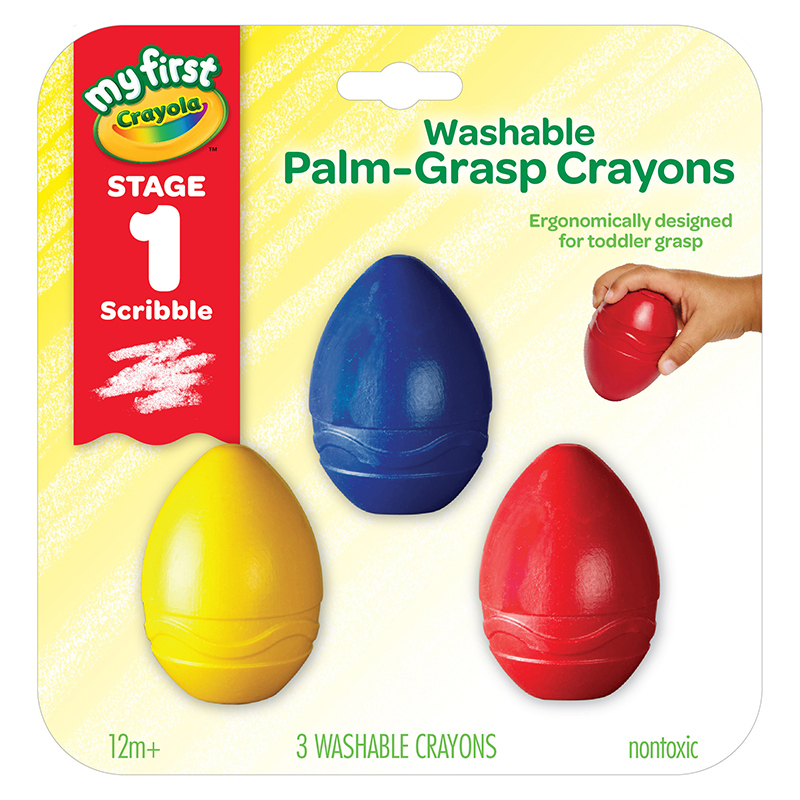 My First Crayola Washable Palm-Grasp Crayons are designed to help little artists "get a grip" on their creative side with a unique shape that easy to hold for most toddlers. They're washable from skin, clothing and most household surfaces. Each of these egg-shaped wonders contains as much color as 14 standard crayons! 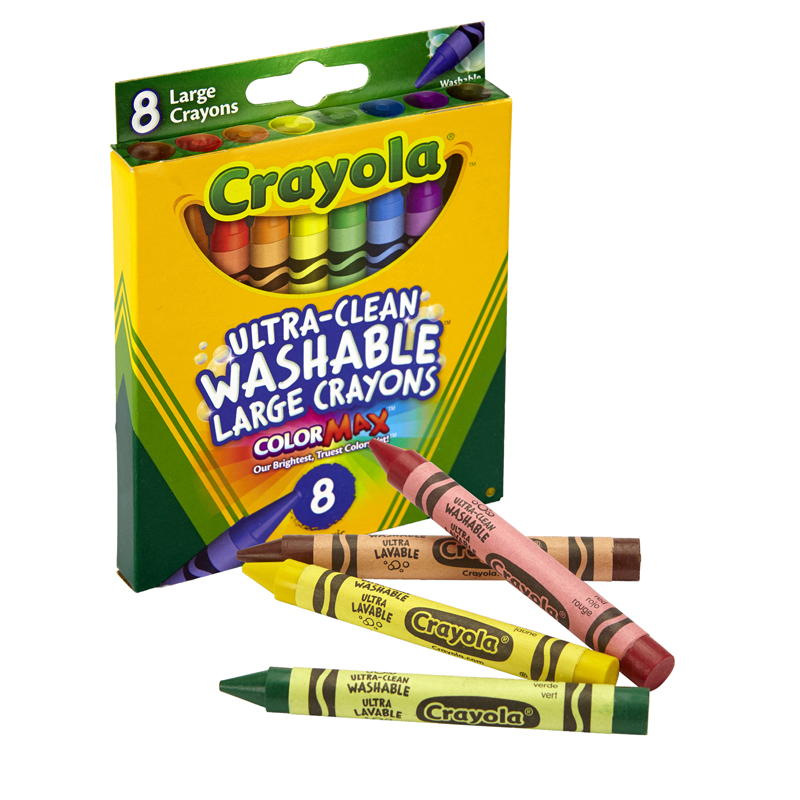 This My First Crayola Classpack contains 18 Palm Grasp Crayons in 6 different colors (red, blue, yellow, orange, green, purple). For 12 months and up. 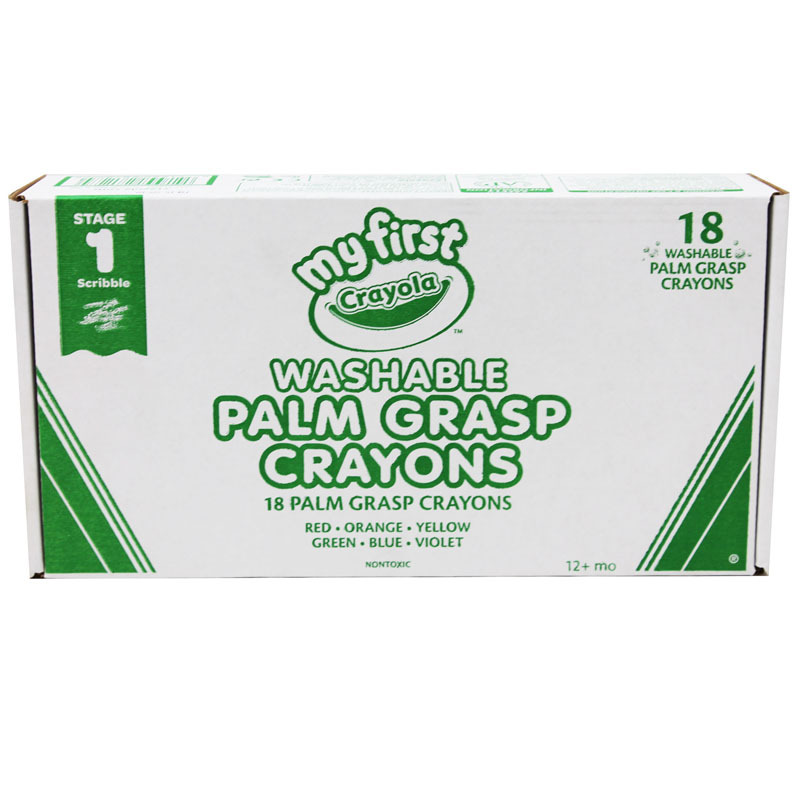 The Washable Palm Grasp Crayons Asstmy First Crayola Classpk can be found in our Crayons product category within the Arts & Crafts.